...another close up of a portion of the horse drawn grader, posted the day before yesterday, here: http://smu.gs/12sJBrK . Best in larger sizes. Super composition...love the texture of the rust and the contrast with the bright greens! The two shots would hang nicely together. Super! Now this is really special Howard. Not only because of the uniqueness of the horse drawn grader, but you capture of it. The rust detail against the green is just outstanding. I truly lke this a great deal. Great shot, love the rust against the green. 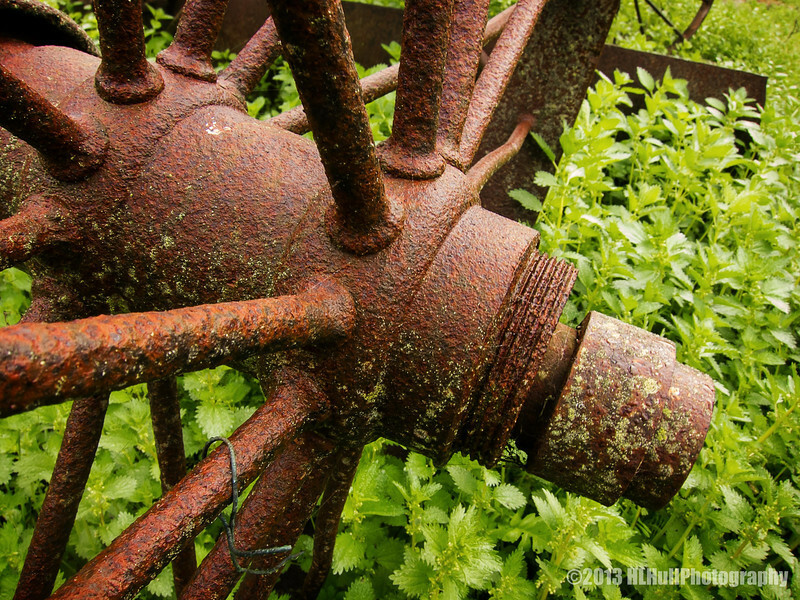 The rust really pops against the green shrubbery!